“How can someone so young sing words so sad?” Morrissey once wondered, but having lived it, he already knew the answer. 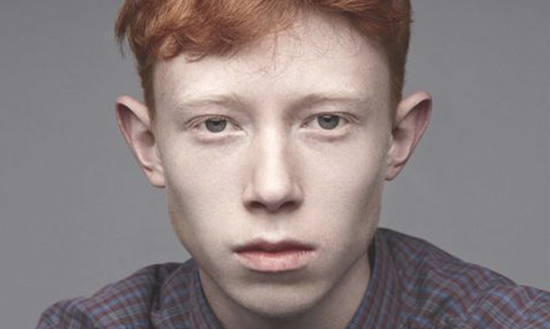 It’s the same question often asked of nineteen-year-old Archy Marshall, a.k.a. King Krule, a British singer/songwriter cut from a similar cloth of awkward charisma, emotive poise, and crisp lyrical insight. Marshall works in sonorous blacks and blues, crafting soulful, guitar-driven punk ballads that belie his tender years and capture the dichotomy of beauty and bleakness found growing up in urban London. He’s skinny, freckled, and unmercifully red-haired – the exact opposite of the battle-scarred hooligan you might expect to find behind his gruff, cockney-laced baritone. After listening to his debut LP 6 Feet Beneath the Moon and spying a pic of Marshall on Google, you’re apt to wonder if you’ve been Rick Rolled. Marshall first drew the attention of critics in 2010 by releasing the grimy, beautiful ballad “Out Getting Ribs” under the name Zoo Kid, but he quickly traded in that moniker for the more aggressive King Krule. The latter still feels like an odd name for a scrawny, teenaged guitar whiz – until you realize it’s named after a Donkey Kong character, which is far closer to Marshall’s adolescent spirit than anyone realized. While his keen songwriting and musicianship are obvious, the most intriguing factor in Marshall’s success has arguably been his youth. He’s a near prodigy – not in talent, technique, or vocal prowess, but in his ability to impart feeling. While Marshall’s dirge-laden music has been labeled “darkwave,” it’s most closely associated with a more basic genre – the blues – in essence, if not form. There’s something similar, and almost magical, to the way Marshall bears the weight of the world. He evokes an image of the young blues singer archetype, the child who can convey so much emotion at such a tender age. Tenacious, eloquent, and sweetly grim, Marshall proves you don’t need to be old to have suffered. 6 Feet Beneath the Moon is less an evolution of Marshall’s established sound than a honing of its singular elements – sinewy guitar leads, gravelly utterances, and damaged bits of percussion. Although miles from the dance floor, songs like “Border Line” and “A Lizard State” are ghostly extensions of reggae-infused, post-punk templates constructed by The Clash, PiL, and The Specials, plump with all of their discontent and devoid of their ebullience. While the constant threat of the drop pervades Marshall’s tunes, there’s surprisingly little bass. You wait for a pummeling that never comes – like dub music without the dub – and are instead left to tread water in Marshall’s melodic swamp of dissatisfaction and contempt. It’s a lesson that seems monotonous at first, but rewards over repeated listens. 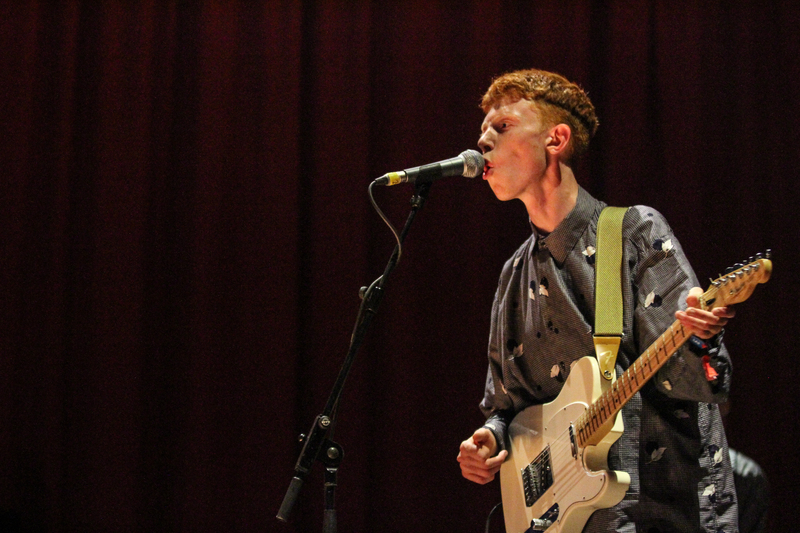 Album highlight “Neptune Estate” might be King Krule’s most sublime moment yet. “Can’t you bear just one more night?” Marshall repeatedly implores over a lazy skanking guitar, wobbly piano, and groaning alto sax. The song exudes such coolness that it might float into the ether were it not for Marshall’s heavy, double-edged sword of an entreaty: “I wanna be with you / I wanna be used.” Another old Zoo Kid number, “Baby Blue,” remains achingly pretty. “My sandpaper sigh engraves a line/ In the rust of your tongue/ Girl, I could have been someone.” One of Marshall’s most appealing qualities is his ability to boil down universal ailments of malaise and ennui into a simmering reduction of personal plight. Marshall’s been way beyond “someone” status for years now, but without the affections of this girl that’s not how he sees it. It’s getting the girl that will elevate him to a state of worthiness. And to hear Marshall put it, he never gets the girl. 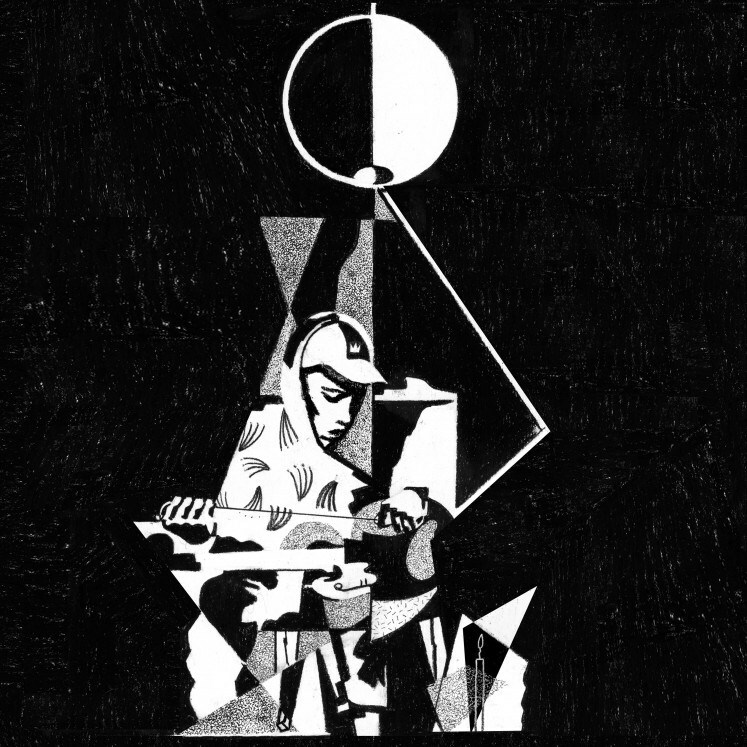 This entry was posted on August 31, 2013 by Jeff Goodwin in King Krule, Reviews and tagged 6 Feet Beneath The Moon, Archy Marshall, King Krule, Out Getting Ribs, Zoo Kid.